British Foreign Secretary met with the President of the Central Bank of Iran IRNA-Tehran, "Philip Hammond," British Foreign Secretary Vhyat building Sunday afternoon with the central bank, "but Ali Saif," said the head of the Central Bank of the Islamic Republic of Iran was discussed. 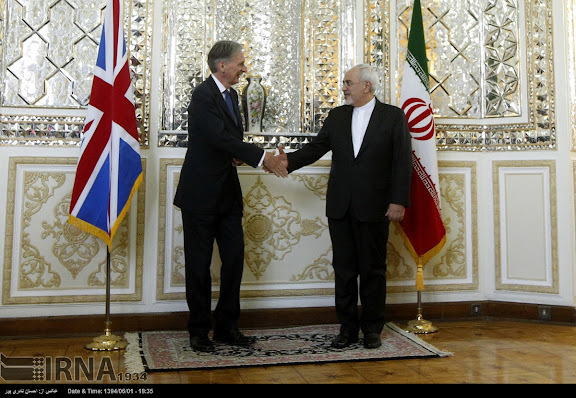 Meanwhile, Iranian Foreign Minister Mohammad Javad Zarif (R) and his British counterpart Philip Hammond (L) shake hands during a joint press conference on 23AUG15 in Tehran. 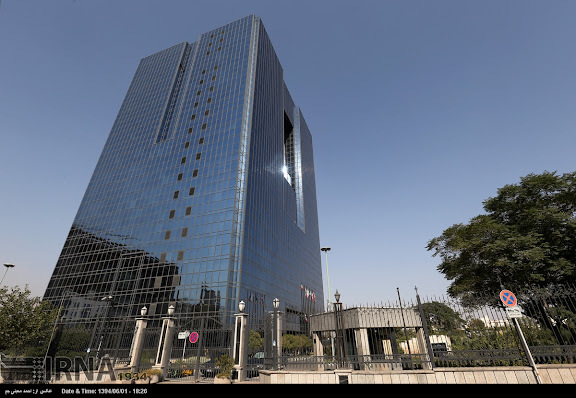 Governor of the Central Bank of Iran (CBI) says two Iranian banks will start operating in Britain soon, increasing the number of Iranian banks active in the UK to four. 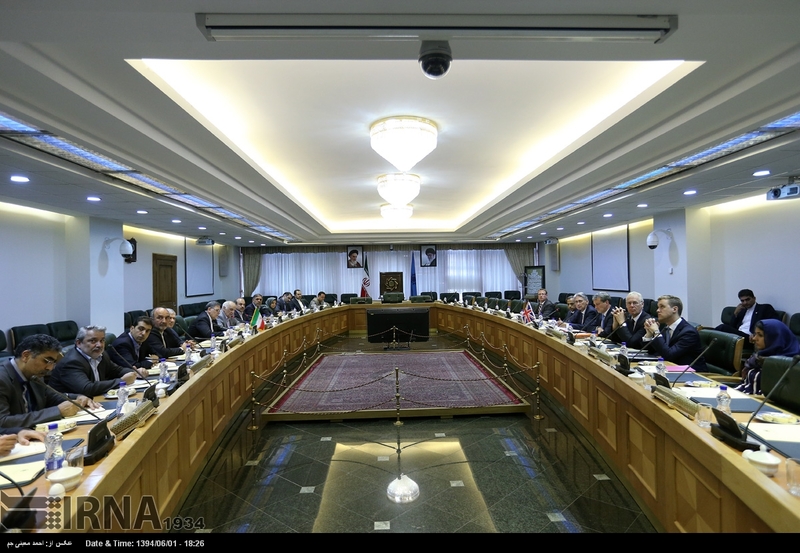 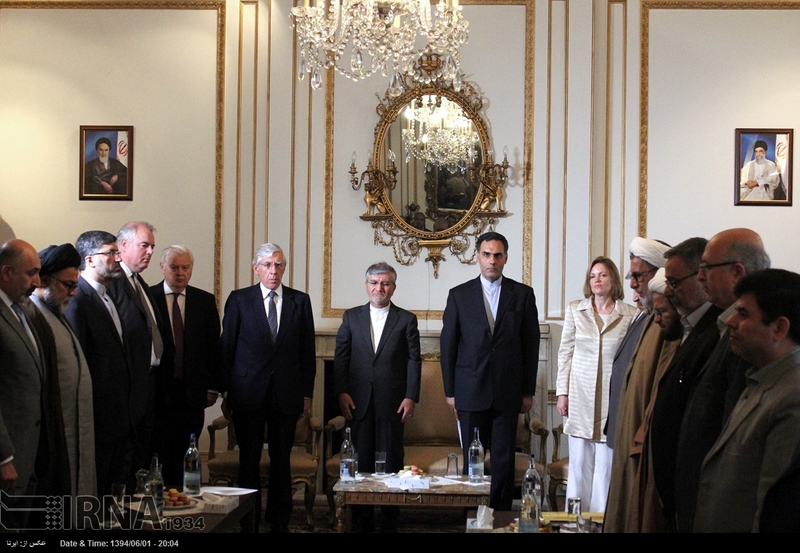 Speaking to IRNA following a meeting with the visiting British Foreign Secretary Philip Hammond in Tehran on Sunday, Valiollah Seif noted that the two banks include the London branch of Bank Melli Iran and the Persia International Bank. 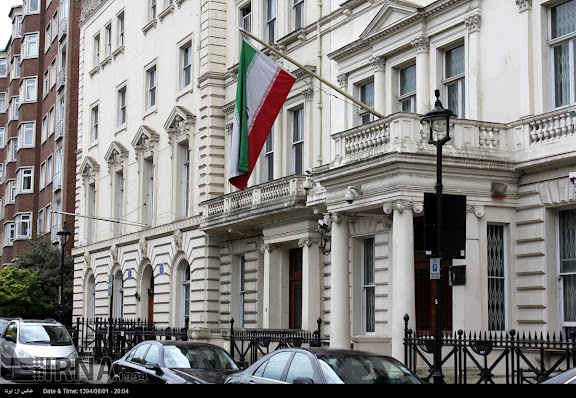 Yes this is the flag of the "Islamic Republic" regime but not the flag of Iran. I'm so glad the British lady didn't wear the backward hijab.